Feeling stuck in the same old patterns? Needing extra support or vision during a rough or confusing time? Do you know that there is a better version of you just waiting to be born? Your True Self knows just what to do, but you need to be able to hear it. Take the steps to grow into a healthier, more grounded, confident, and self-attuned version of yourself, today. We are not here to hurt. If you landed on this page, you’re probably looking to heal, change, or grow in some way. You’re feeling the call or wondering if you should finally commit to receiving the support you need. You may be feeling stuck in some way, tired of repeating the same old, painful patterns that keep you from moving forward. You might even be afraid to look into the past, or feel frozen when it comes to knowing how you desire to move into your future. You could be facing situations like career issues, family or relationship problems, or a general lack of wellbeing, low self-esteem, depression, or anxiety. Whatever you have been through or have been doing, it just isn’t working and you’re needing to seek other solutions. Good! Again, I am so happy you are here… you deserve to heal and experience more peace, ease, FLOW, and joy in your life, health, career, and relationships. And you don’t have to do it alone… actually we humans naturally do much better with supportive connections! We’re not meant to do it alone. Despite all apparent circumstances, this could actually be a time of great transformation for you. Psst… here’s a life secret (or not so much!).. Pain will do that to us. My greatest experience of transformation was also my most difficult, intensely painful one. I wouldn’t trade it for the world, for now I can see that darkness is truly where the light enters. It has become my strength, and it is my life’s work and passion to help others access theirs. I teach people how to become more of their True Self, and its all in the way we are relating to our own life and stories. By transforming your old stories and beliefs, harnessing the power of clarity about what you want, and finding forgiveness and heart-centered healing, you can create real, lasting, positive change. Both methods are a commitment to growth through the vehicle of our relationship together. Both are about YOU– growing into a more healthy, peaceful, clear, and constructive version of yourself. I can incorporate many different healing modalities in your treatment, if you so choose. I am a Reiki Master, a natural intuitive, and also have extensive experience with mindfulness, meditation, clinical hypnosis techniques, and other forms of advanced energy psychology to help you heal and better understand yourself holistically. As your therapist or healer, I hope to help you experience more peace, ease, purpose, inspiration, relief, and joy… and I hope to do so soon! Let’s talk about whether Intuitive Healing or therapy is a better fit for your current needs. Nothing is stopping you from taking the steps toward your healthier future today. Even if we decide not to work together, I can leave you with one inspired action-step during our free, 30-minute consult call. Call or text 602-429-9030 to reach out, or just send me a message via the contact page. Natalie Foster, LMFT, ATR-BC, is a registered art therapist with a background of study in marriage and family therapy. She has a passion for helping others discover their own innate potential. After undergoing her own profound spiritual healing in 2013, Natalie has made it her mission to share her broader understanding with those who she works with, and uses her intuitive gifts in a way that she can most joyfully serve others. Natalie is a registered and board-certified art therapist (#17-381) and a Licensed Marriage and Family Therapist (#15306). She is also a certified reiki master and has received extensive training in the use of clinical hypnosis from the Milton H. Erickson Foundation. She is the art therapist at The Meadows Outpatient Center in Scottsdale, and the President of the Arizona Art Therapy Association, regularly participating in education and advocacy outreach throughout the state. In addition to a professional networking group, classes/workshops, and community art-making groups for the Institute, Natalie also offers private, one-on-one art therapy and intuitive mentoring services for adults, tailoring her sessions to fit your individual needs. For low cost counseling resources in Scottsdale, visit OpenCounseling. Interested in finding out how Natalie can help you? Click here to reach out, or call 602-429-9030 to schedule your free, 30-minute discovery call today. Thank you for taking the time to explore my website. Even if we decide not to work directly in a therapy or mentoring relationship together, I still like to offer resources for you to learn and grow. I periodically host free events and send out articles and videos which can help you advance and align with a greater version of you. Sign up for the newsletter to receive this and more by clicking here! Hours typically vary. Please note that I do my best to respond to inquiries within 72 hours. Did you Know I was Recently Featured in the Arizona Capital Times and Voyage Phoenix Magazine? Check out the media page for other features and updates. Follow my Journey on Instagram. Waking up in phoenix, AZ. “Every single human is going through this... were all in it together, no body can escape it, there’s no one on this planet whatsoever-- even the people that really have it all together, or seem to be extremely successful, even freaking Oprah— has her moments! And that is what we’re experiencing— is, you know, how to return. Were not trying to not have those moments, were experiencing how to return. How to be in a space where we can accept ourselves, and really be gentle and accepting and loving towards those parts that seem unacceptable, so we can return. And those are the lessons. The miracle is not staying in a place of high and excited all the time. Its great when you can experience those longer rides, but thats not the miracle— the miracle is that moment of return.” -Me 😛 . . . Thank you to my gorgeous soul sister, and fellow contributor on the upcoming 2020 Elevate project, @mallory.bales, for having me on her @thenakedessence podcast! I just love this wise and wonderful woman, and we had a blast sitting in a vortex of L😍VE while recording this episode! 🥰🥰Coming soon! 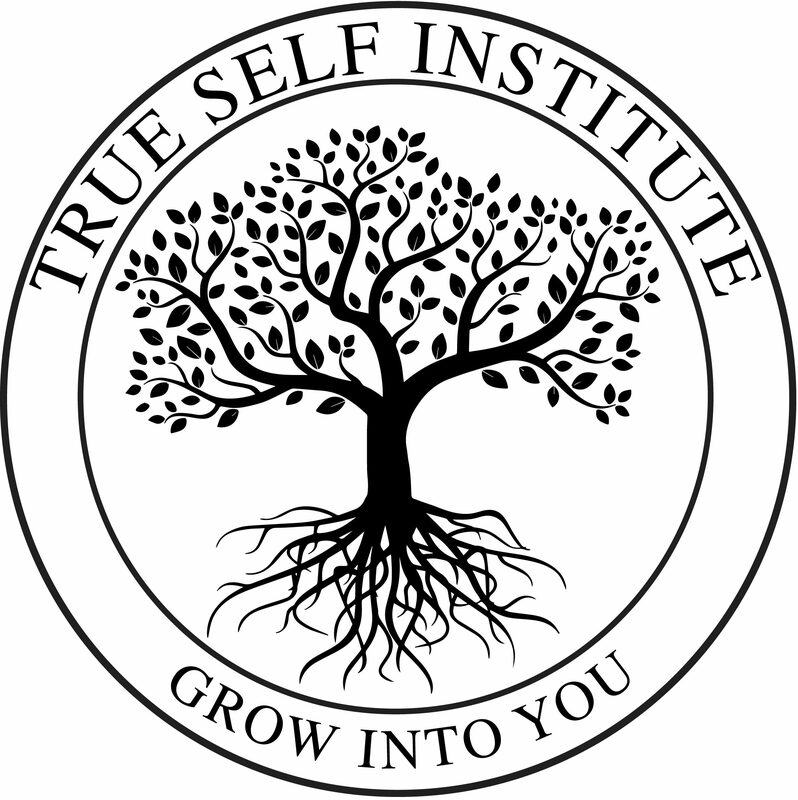 True Self Institute is on Facebook! Like the page here.